There are variety of workplace scenarios that can leave us all feeling vulnerable, uncertain, and even powerless. What is your new offer letter really trying to say? Do you suspect discrimination in the company you work for? Did an abrupt termination leave you with unanswered questions? There’s no denying that the labour market in Alberta is unique. Here at YYC Employment Law Group, we only deal with workplace-related legal matters. As employment lawyers, we hope that more Calgarians understand their rights related to their employment. 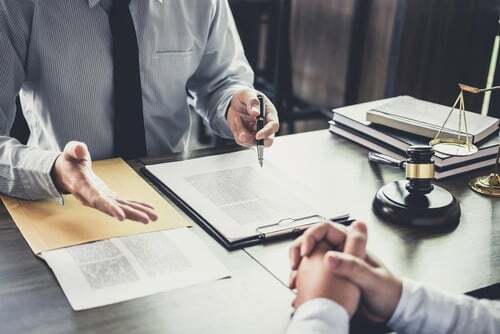 The heart of the matter is, you should find an employment attorney as soon as you realize that you’re having issues related to your employment. Read on to learn about some scenarios that can benefit from legal help from true employment law specialists. Employment Law in Canada: How are Albertans Protected? Employment law is vast in what it can pertain to. People are often confused by what their rights are based on their union, workplace policies, terms and conditions outlined in their hiring package, and by the rules and regulations set forth by the province they work in. Unfortunately, the following incidences pop up frequently despite these laws. We will go in detail with some of these scenarios in the next section. There are a variety of situations that can be addressed with the guidance of an employment lawyer. From reviewing your offer letter, to pursuing wrongful dismissal, a qualified employment lawyer can help you fight for justice at any phase of your career. Losing your job can be a painful experience. Whether your employer chose to use language like “let go” or “packaged-out”, the end result is still extremely upsetting. It is important to understand that you have entitlements and rights when it comes down to your severance. There are time requirements that must be complied with in these cases, so please don’t hesitate to contact us to learn more about your options if you are dealing with severance negotiation. Also known as “disguised dismissal” or “quitting with cause,” these sorts of situations are something we see all the time. Employers may propose, or go ahead and make, unilateral changes to the terms of an employment agreement without the employees’ consent. This can result in changes to compensation, benefits, job title and duties/responsibilities. Harassment, bullying or intimidation in the workplace may ensue due to the changes of the employment agreement or at other times, be unrelated to the proposed changes. Often, these employees feel powerless and resign as a result of the toxic work environment. Whatever the case may be, an essential term of your employment may have been breached, which means you could be entitled to compensation in a manner no different than if you had been fired or laid off without cause. Even though human rights have come a long way, there are still employers who engage in human rights violations and discrimination in the workplace. You would think that in 2019 these sorts of situations would be rare, but we know they occur more often than they should. To make matters worse, employers often have sophisticated legal counsel to help validate, or even minimize the impact of workplace harassment. This leaves victimized employees feeling helpless and without a voice. Although this behaviour sometimes enables the employer to avoid liability, our team of employment lawyers will ensure you have the support you need to bring justice to your discrimination case. Starting a new job can be exciting, but we always caution our clients to let us review their employment agreement before they sign. We find it so frustrating to see long-term employees be laid off with only eight weeks pay-in-lieu of notice. In Alberta, that is the statutory minimum amount of severance for an employee with 10 or more years of service! This number may represent only a fraction of what you would otherwise receive if that clause was not part of your employment agreement. Non-compete or non-competition clauses are in place to prevent you from competing with your former employer in the event that you resign or they terminate your employment. These types of clauses are often used in employment agreements as an intimidation tactic, but many employees don’t seek legal counsel and assume these clauses hold more weight than they actually do. At the end of the day, drafting, reviewing and advising on employment agreements and restrictive covenants are a vital part of our job as employment lawyers. We want our clients to understand and agree with all of the fine print their new job sends their way. A New Era of Calgary Employment Lawyers. We’re Different. Seeking legal counsel can feel daunting, but here at YYC Employment Law Group, we work exclusively with employees. We are here to help you understand your rights in the workplace. If you are seeking representation in your work-related legal matters, let’s talk. Our dedicated employment lawyers have over 40 years of combined experience in employment disputes. YYC Employment Law Group combines high-quality legal training, experience and knowledge with compassion, empathy and hope. Our Calgary employment lawyers are here for all employees. Any time, any employment issue, and any workplace.